A bold piece of decor, no matter the season or occasion, this wonderful wreath has no equal. 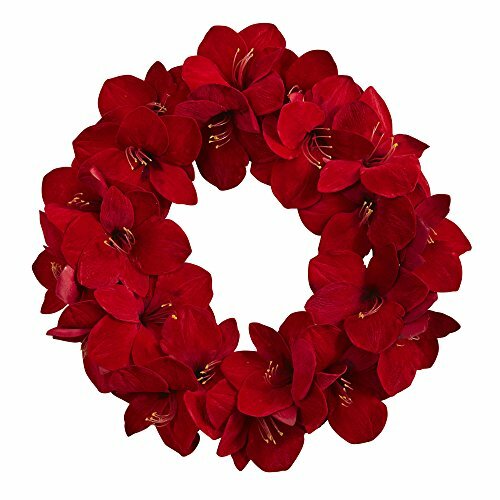 With full, open Amaryllis blooms in a 22diameter circle, this wreath makes a statement no matter where you display it. The best part is, it'll never dry out or need care, so it will great great year after year. Ideal for both home or office, it makes an interesting gift as well.